A government economist emailed a chastisement recently. In the most polite language possible, he characterized columnists — me — who worry about endless accumulation of government debt as uneducated, and in need of an introduction to basic economics. (Economists can be a sensitive bunch; they disagree profoundly with one another, but some of them go into epileptic snark if someone without a PhD ventures an opinion they don’t like). Helpfully, the fellow appended a primer on Modern Monetary Theory (MMT), which posits that the government, not individuals or corporations, owns the national currency, and can print unlimited amounts of it without harmful consequence, as long as it taxes enough of it back to keep spending in check and restrain inflation. The MMT school has been around for more than a century, but seemed less loopy after Western central banks responded to the 2008 financial meltdown by printing trillions of dollars and euros and yen without moving the inflation needle. On the extreme other end of the philosophical spectrum are the Germans, whose leaders have all read Faust by Johann Wolfgang von Goethe, and regard heterodox theories with aggressive suspicion. In Faust, when the emperor wails about running out of gold, the devil steps in with a suggestion. Since we know that most gold is yet to be mined, counsels Mephistopheles, why not just issue promissory notes against its eventual retrieval? Basically, the devil is suggesting printing money, which the emperor does, with predictable consequences. There’s a reason he’s called the devil. The fable has appeal. I regard religion as superstition, yet my soul is Protestant. My schoolteacher father would sternly intone that taking the easy way out always has consequences. Do the hard work first. Be the ant, not the grasshopper. (That thinking eventually extends to every detail of life: I cannot stand beginning the day with an unmade bed, I have an irrational belief that suffering through winter somehow builds character, I even masochistically savour a headwind on the outward part of a long bicycle ride, with its promise of a tailwind on the road home). Seen with that worldview, how can mounting debt not be a gravitational anxiety? Debt seems a vast, sucking field of muck in which we flail. Unrepayable lifetime debt now seems to be a business model. Students enter the professional world owing hundreds of thousands, and otherwise sane people carry heavy credit card balances, with the usurious vig that comes with them (the average Canadian credit card debt, depending on how you calculate it, is as much as $8,000). Statistics Canada says Canadians carry a total debt load of 179 per cent of their disposable income. That is nosebleed level, and it keeps rising. And with every annual budget, the federal and provincial governments take on more debt on our behalf. Yes, I know you shouldn’t conflate public and private debt, but it all adds to that profound Faustian unease. In the United States, President Donald Trump and the Republicans denounced debt as a burden to our children, and promised to get rid of the national debt in eight years. Instead, under Trump’s guidance, Congressional Republicans added $2 trillion (think two million million-dollar homes) to the national debt in just two years. The U.S. Federal Reserve, as noted, still has $4 trillion on its balance sheet, thanks to its overheated printing press. And there are signs that Wall Street’s reckless debt merchants learned nothing last time around. Surely, logic dictates that there will be a price to pay for all this; that the bill will come due. In a sense, it already has; the extremely low interest rates pursued by Western central banks didn’t just encourage years of feverish borrowing, they have reduced – some would say robbed – virtuous savers of the returns they expected. Everywhere, you read that Canadians (and Americans) are simply unprepared for retirement. Now, experts on the subject do provide some comfort. Malcolm Hamilton, of the C.D. Howe Institute, says retirement vulnerability, at least in Canada, is grossly exaggerated by mainstream media. The government takes good care of retired Canadians, he says. Lower-income Canadians will likely see little change in circumstance after they retire, and higher-income earners simply need to put their debts behind them, or face living a more frugal existence later in life. That said, Hamilton acknowledges the ground beneath us has shifted remarkably. Low interest rates have created an addiction to debt for individuals and for governments, so, he says, central banks will likely have to keep interest rates low for decades to come, because significant increases would create debt servicing charges that would cripple governments, never mind mortgage holders. At the same time, a much smaller working population will be supporting a much larger retired population, which, incidentally, will demand ever greater health care and social benefits. Chris Ragan, the McGill University economist I call when I want to be told everything will be all right, says everything will likely be all right, confidently rattling off statistics, the way experts do. 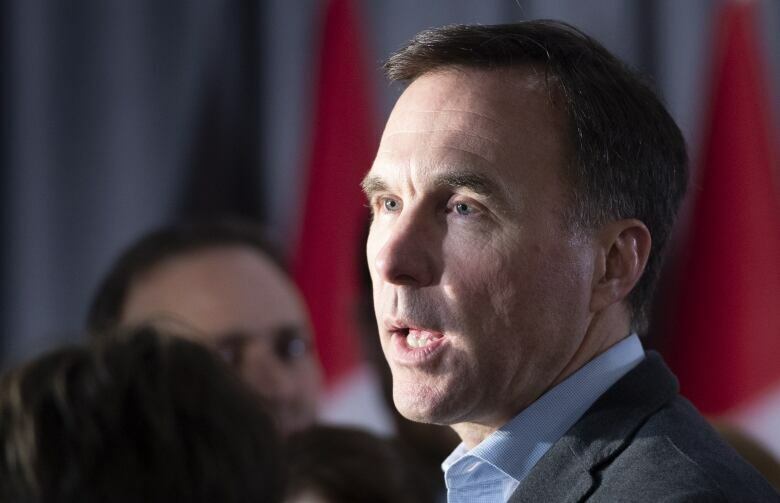 It is true, he says, that a “fiscal squeeze” is coming as the population ages, but that if governments start thinking about it now, it’s not something to worry about (the trouble, of course, is that governments are terrible at thinking beyond the next election. Ragan says the Trudeau government’s spending has been scattershot and political, rather than strategic; reversing Stephen Harper’s decision to raise the retirement age, he says, was foolish). And government debt, he says, is not in itself a bad thing, nor is printing money, as long as markets remain confident, which they do. As for Protestant caution, Ragan cites the “thrift paradox:” it might be prudent for an individual, but if everyone does it, or if the government does it too much, the economy goes into recession. Perhaps. But a little dread never hurts. I’m going to keep making my bed.